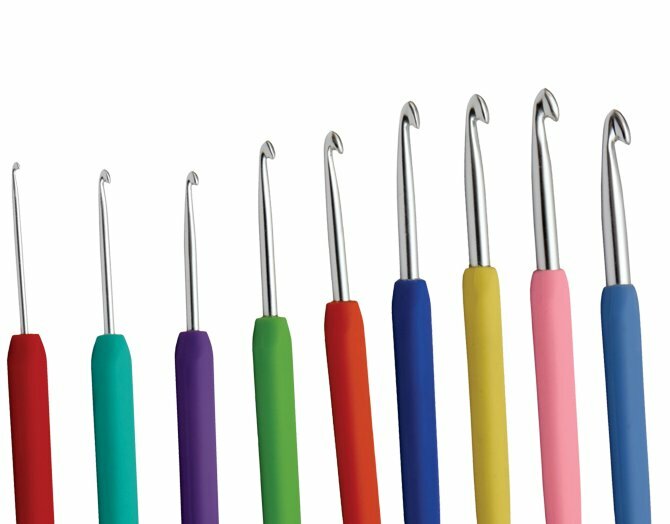 Waves Crochet Hooks feature a super comfy grip and precisely engineered aluminum hooks for efficient crocheting of projects large and small. Great for crocheters of all ages and abilities, these fun hooks come with a rainbow of color-coded grips so each size is easily identifiable. Knitter's Pride Aluminum Silver Crochet Hooks Needles and Knitter's Pride Aluminum Gold Crochet Hooks Needles are both similar needles: 5.75" (15cm), crochet, and crochet n - US 15 (10.0mm) US size. You may enjoy taking a look at the Berroco Corsica Vera Dress, Koigu KPPPM Rihanna Shawl, Koigu KPPPM Gypsy Shawl, and Koigu KPPPM Maria Shawl kits all using Knitter's Pride Waves Crochet Hooks Needles. 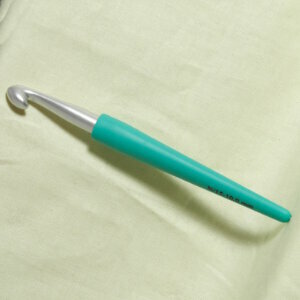 Knitter's Pride Aluminum Silver Crochet Hooks Needles From $3.01 to $4.30Select options on sale now!